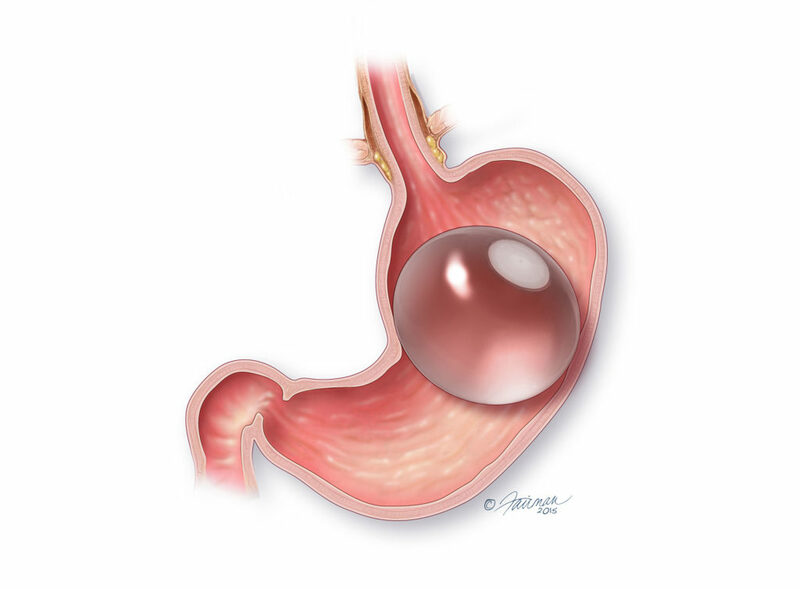 Here at Aspiring Bariatrics we are pleased to announce that we are now offering the ORBERA® Intra-Gastric balloon. The ORBERA® balloon is a temporary endoscopic treatment that helps people to feel full, and therefore lose more weight while undertaking a diet and exercise program than with diet and exercise alone. The ORBERA® balloon is placed under conscious sedation during an outpatient endoscopic procedure, and is removed six months later by a similar procedure. It is accompanied by a supervised diet and exercise program lasting 12 months in total. On average people lose 10-15 kilograms of weight while the balloon is in place, approximately three times the amount of weight lost through diet and exercise alone. The ORBERA® balloon is indicated for people with a body mass index of 27 – 40 kg/m².